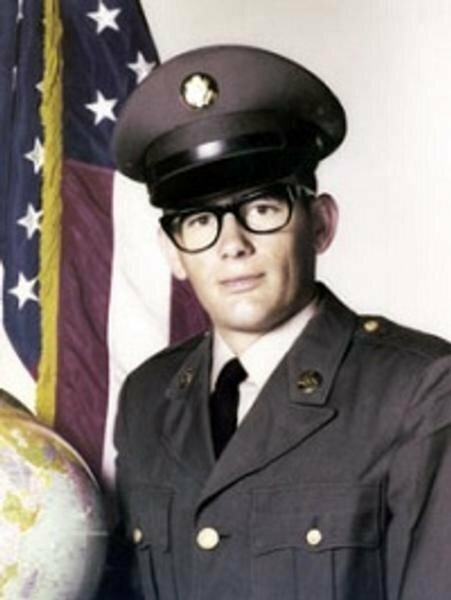 Specialist Four David Lee Bingamon, Served with the 588th Signal Company, 63rd Signal Battalion, 21st Signal Group, 1st Signal Brigade, United States Army Vietnam. THANK YOU FOR YOUR SERVICE AS A RADIO TELETYPE OPERATOR. IT HAS BEEN FAR TOO LONG FOR ALL OF YOU TO HAVE BEEN GONE. WE APPRECIATE ALL YOU HAVE DONE, AND YOUR SACRIFICE. WATCH OVER THE U.S.A., IT STILL NEEDS YOUR COURAGE.. GOD BLESS YOU. MAY THE ANGELS BE AT YOUR SIDE. REST IN PEACE. MANY OF US HAVE BEGUN OUR JOURNEY TO EASTER. YOU ARE ALL IN OUR PRAYERS. Dear David, to honor your memory and the sacrifice you made for our country I want to make sure your photo will be displayed on your birthday each and every year when the Education Center is completed, so it is with great pride and humility that I post this remembrance and picture of you. You are not forgotten and remain in the hearts of many all these years later. You have been designated to be one of God's special angels, along with the love of my life, who also sacrificed his life during this war 45 years ago. God Bless You, David, for being who you were and for all you did--we live in freedom to this day thanks to heroes like you.